British-Ghanaian, writer, theorist and filmmaker Kodwo Eshun (b.1967) is known for his interest in the electronic mythology of sound. 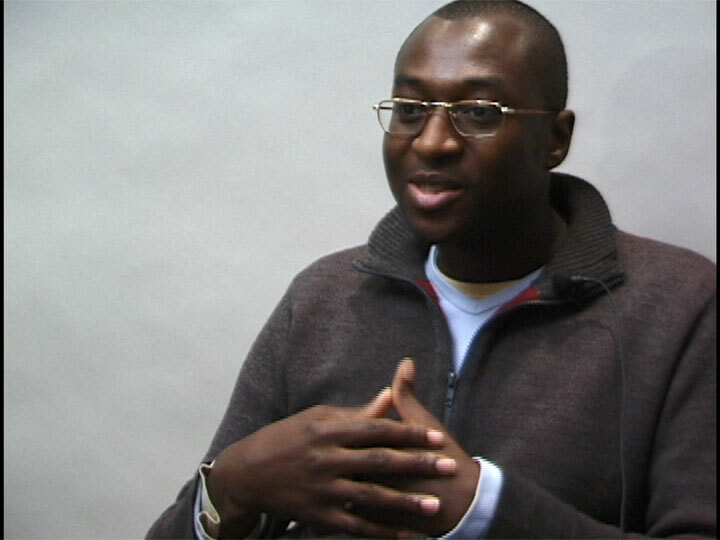 In this interview, Eshun discusses his desire to challenge the predominance of sociological inquiries into the historical and stylistic development of music. Eshun seeks to establish a model of inquiry that is much more concerned with the materiality of sound. Deeming this type of analysis ‘sonological,’ Eshun goes on to describe its dependence upon “a self-awareness of technological mediation,” as in the way hip-hop depends upon audience recognition of the techniques used in its own creation. Eshun goes on to discuss Afro-futurism, and the way in which its use of anachronism reflects the electronic politics of resistance that has always lain at the heart of hip hop music. Eshun has contributed to a wide range of publications, including The Guardian, The Face, The Wire, i-D, Melody Maker, Spin, Arena, Frieze, CR: The New Centennial Review and 032c. He currently teaches on the MA in Aural and Visual Cultures in the Department of Visual Cultures at Goldsmiths College, University of London. Interview conducted by Romi Crawford in November of 2001, edited in 2014.